We are a co-educational, voluntary secondary school under the patronage of the Board of Governors. Currently there are about 175 pupils from all over the greater Dublin area and further afield. 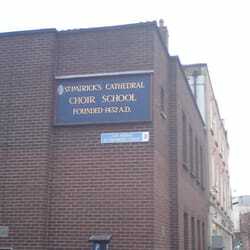 The school is situated beside St Patrick’s Cathedral, which provides an ancient setting for major services and special occasions.